The New York Times weighs in with a well-reported story about the controversy over the Georgia Aquarium’s plan to import 18 wild belugas from Russia. 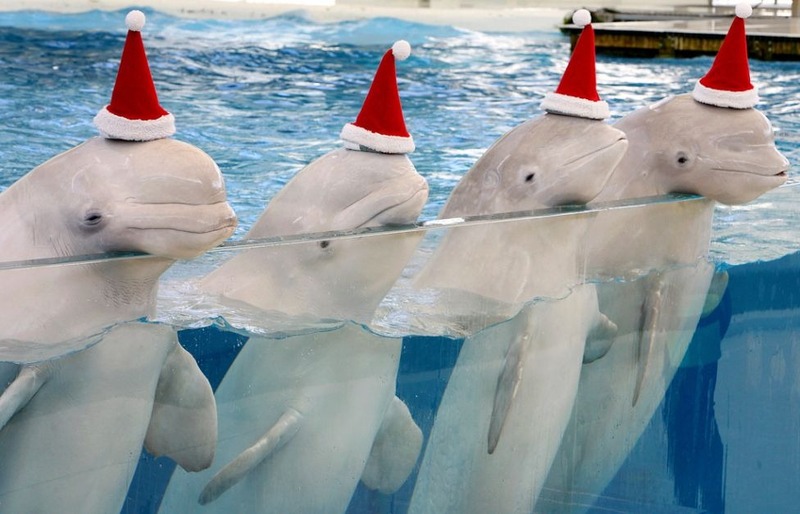 What the story doesn’t mention is that not all the marine parks that originally set out to research this Russian beluga population, as a step toward importing wild belugas from Russia, are in agreement about displaying belugas. Ocean Park in Hong Kong was part of the marine park consortium that helped fund the research, and was planning to import some of the belugas for its new Polar Adventure exhibit. But along the way, Ocean Park decided that it would not include belugas in the exhibit, and would not be importing any of the 18 belugas captured in Russia for the consortium. Over the summer, I called Allan Zeman, the chairman of Ocean Park’s Board Of Directors to ask why. He was refreshingly forthright and candid about Ocean Park’s decision. And his thinking is an example of how at least one marine park looked at the ethics of displaying belugas and–despite the fact that belugas are popular with the public and generate lots of revenue–decided to go another direction. What happened with the belugas is that we originally six years ago talked about doing belugas and other animals. Ocean Park is really about animals. It’s similar to SeaWorld. Nobody 6 or 7 years ago came out against the idea. Everyone was excited about plan, which even had polar bears. But after we started designing the park–the CEO and myself–we started traveling around to familiarize ourselves with the animals in different parks. Nobody said anything. Most people didn’t know what a beluga was, except for the animal rights people. So I went around to Japan, the US, including Atlanta, and saw belugas in the aquariums there, and I also saw some belugas in aquariums in Japan and China. At Ocean Park we really do things in the correct way. We do studies. Our first decision always is to take a captive bred animal. And if there isn’t one we will do a study and make sure you are not upsetting anything in nature. Then we got the [research] reports from Russia. We really wanted to do research on belugas, as well as on bringing animals closer to people and people closer to nature. Our scientists were giving me all the figures. The beluga population would be fine, we would not upset nature. It sounded very, very good. But as it was getting closer and we were building the facility, suddenly I was in China, I think, and I saw one park with 3 belugas. The enclosure was very small. The belugas could barely turn around. I thought these are huge animals and unless you have a really, really, big enclosure, it doesn’t really work. I guess seeing them, even in Atlanta, made me realize that the enclosures aren’t big enough. That with whales that size, unless you can take the park to the ocean, it’s hard. Some animals do well in captivty and some don’t. If you have a big animal you really need a proper facility for them. I felt what we were building was not big enough. That’s my own feeling. i just feel it is not right. That was the reason we made he decision. We try to do things in the right way. If something is not right we won’t do it. Parks have to decide on their own what works and what doesn’t. It’s interesting to have an example of a marine park going the other direction on belugas. Give Zeman and Ocean Park credit for doing what they believe is right. Addendum: Zeman’s feelings about the wisdom of keeping belugas at Ocean Park had a lot to do with his reaction to seeing them in the aquariums at other marine parks. But another criteria that NOAA must apply to Georgia Aquarium’s permit application is the humanity of the captures. For what it is worth, via Earth In Transition, here is a 1999 video of Russian beluga captures. Kudos to Alan Zeman and Ocean Park! While it is true that those who fight for animal rights are often driven by emotion, it is also true that the love has driven us to learn the science to know that it is wrong to keep belugas – period. On the other hand, it is the love of profits that leads the marine parks to keep their blinders on, and NOT look at the truth.